Hand embroidered Romanian blouses with 100% handmade embroidery. 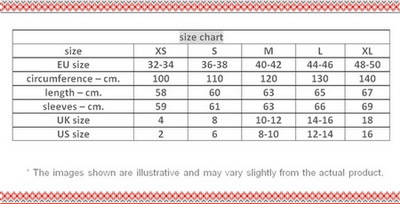 Fabric of the Romanian blouse is fine gauze cotton. Embroidery threads are cotton and silk. It takes more than 3 weeks to complete the embroidery of one blouse like this. 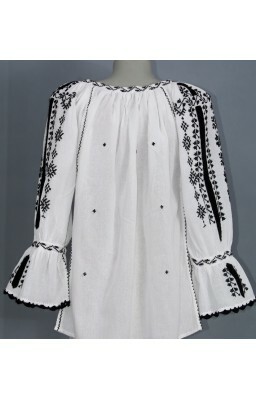 Worldwide delivery for embroidered Romanian peasant blouses and folk costumes since 2000! For PayPal payments, first, please select EUR or USD currency. PayPal does not accept the payments in RON currency. Traditional Romanian blouses care: Hand wash at max. 30'C. Ironing.